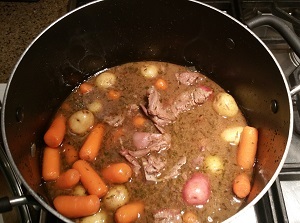 Irish Stew Recipe, Beef or Lamb, Traditional Irish St. Patrick's Day Meal! Click here for a PDF print version which is perfect to use when cooking! Irish stew, either with beef or lamb, is a traditional meal of Ireland and perfect for St. Patrick's Day. And it is so easy to make and is a meal in itself! 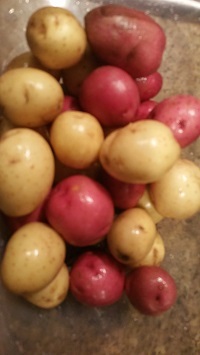 It only takes about 20 minutes to prepare then about 2.5 hours in a large pot on the stove. It is also perfect to cook in a slo-cooker or crockpot. 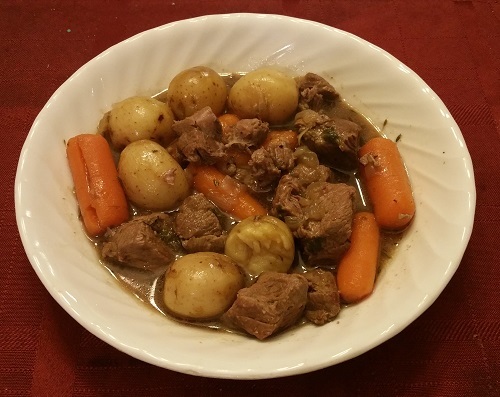 Irish stew is an authentic Irish dish which is also appreciated in other countries. Traditionally made with lamb, it can also be made with beef. We’ll show lamb below. Plenty of photos to show you how to do it, too! Trim excess fat from the meat. If you have meat with bones, cut as much of the meat from the bones. 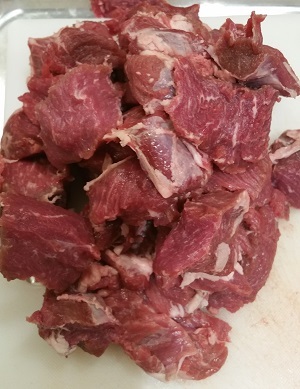 Cut the meat into 1 inch cubes. Discard the fat, but save the meat and bones. 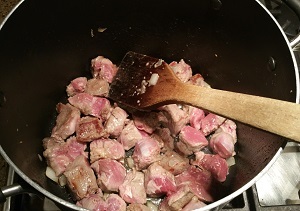 The bones will go into the pot, and will add flavor. 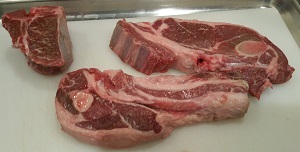 And after they are cooked, the meat that remains on them will separated easily. You will be surprised how much more meat will come off of them! Heat the olive oil in a large pot over medium heat. It just takes a minute or two. 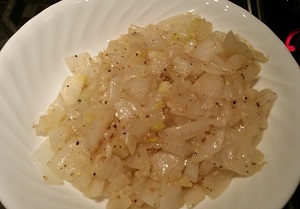 Sauté the onion, garlic, salt, and pepper in the oil until the onions are softened and translucent in color. 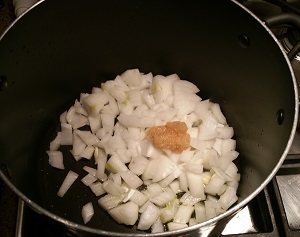 (takes about 5 minutes) Remove the onions and put the sautéed onions in a bowl and set aside. 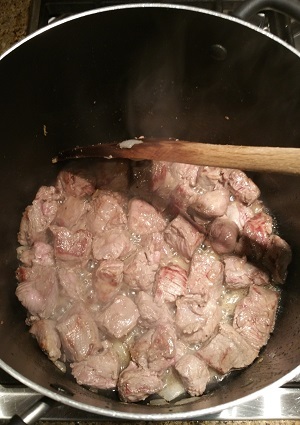 Add another tablespoon of olive oil and the cubed meat to the pot and brown (about 5 minutes), turning to try to brown most sides. Don't make this too complicated. It doesn't really matter if every side of every piece is browned. Using a wooden spatula, I just stir and flip them until the look like the second photo. It takes about 6 or 7 minutes. 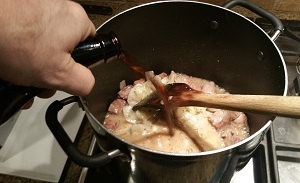 Add the onions and beer; stir to mix. 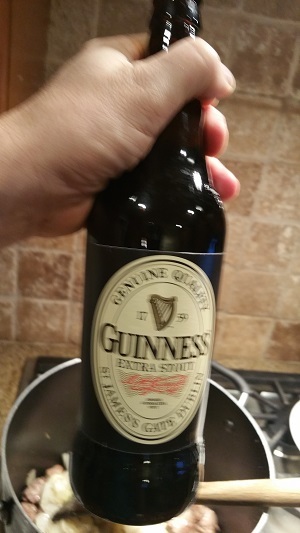 I use Guinness Stout, it makes this authentic (although I all the Irish folks I know use cheaper beers) and honestly, I suspect you could just use whatever cheap beer you have around. If the meat is not covered, use water (or more beer) to make sure it is barely covered. After 1.5 hours of simmering, add the potatoes and carrots. 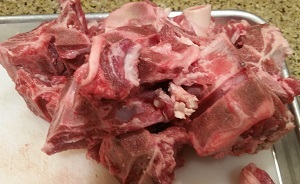 The meat attached to the bones will separate easily once it cools enough to handle. Then you can discard the bones.